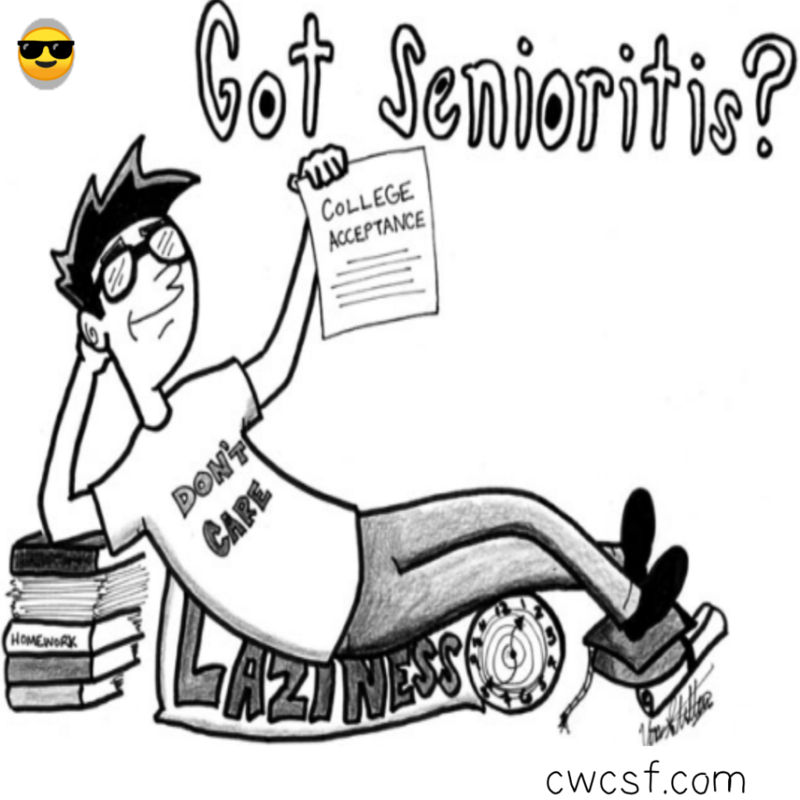 Senioritis is the condition that tends to affect the motivation of many high school seniors. Once college applications are complete and plans for their futures are being made, students may begin to slack off. Parents may find themselves battling with their children to stay on track. If your teen is displaying signs of senioritis, such as plummeting grades, laziness, a dismissive attitude, or missing days of school, it may be time to step in. So what’s a parent to do? Here are some tips for combating senioritis. Be clear that you expect the same drive and motivation this year as in previous years. Communicate your expectations of their grades and responsibilities. From projects and finals to AP exams, a student’s senior year is full of many challenges and responsibilities. Keep track of these large requirements and bring them up in conversation over time. Open communication between parents and children is essential. Talk about their schedules, requirements, hopes and fears. Let them know you are there for them. A good supportive conversation beats a lecture any day. Do a lot of listening. Instead of threatening or using fear tactics, think about how you can help them problem solve. Help them to think about how they can have an interesting, successful and useful senior year that will carry them forward in their lives. It is so important to help your child to manage a proper balance between enjoying all that senior year has to offer with the importance of a strong academic finish to high school. With your encouragement and support your child’s senior year will help launch them on the path to a successful future. Senior year is your child’s opportunity to strengthen their skills and broaden their experiences, and to prepare for the challenges of life ahead. Parents shouldn’t ignore any slide in grades or skipping of classes. Start out by explaining the serious consequences that could occur, and encourage them to follow-through with the same dedication they have always had. It is also important to recognize that you have been a part of this long journey too and so you may be experiencing signs of burnout yourself. Hang in there and realize how close your child is to graduating. Participating in Family Therapy can also help develop the dialog needed between parents and their teens in overcoming senioritis.